Quest 2- Who Are You? Remember this is your new life. 1. In your journal tell: What is your role? Find your role in the document Medieval People below and click on the links below to define your role. In step G, watch the Video (3:o4) to learn how to use the remove background feature on power point. B. Go to the r drive under Middle Ages/Clothing/ and enter the appropriate folder for your new social role. C. When you find an outfit that you feel is appropriate for your person, right click and copy it. Go to your power point document and right click and paste the picture and then save. D. Next, Go to the r drive / middle school/(your teacher's name)/A or B Day/LA1 or LA2 photos. Find your picture. Right Click and copy it. E. Go to your power point document and right click and paste it to the same slide you have your outfit on. and remove the background. Watch the video above if you need more information. H. Paste your head into the picture. Now your picture in grouped together. Copy and paste your picture so that you have two of them on on slide(one for your journal and one for your teacher). J. Save your picture to the r drive. R:\MiddleSchool\Ashlin or Coe \Aday or Bday\feudalism. K. Print your picture and glue in your journal. I will use the pictures from the r drive to make a class Feudalism poster for our journey through the Middle Ages. 3. Choose the name of your person. Add the correct title. Look below (at the bottom of the page) in the Medieval Names document. Look below (at the bottom of the page) for Royal and Nobel Ranks document. 4.Where did you live? Castle? Manor House? On a Manor? Church? Did you have a permanent house? Get a picture of your home and place it in your journal. Hint: If you were an entertainer be sure to read information above about yourself. 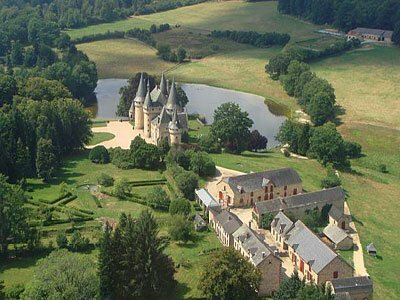 Find a castle for sale in Europe that you will live in. Remember, Kings' castles are the largest and down the hierarchy we go. A knight's castle is much smaller and less grand. Manor House: A manor was the district over which a lord had domain and could exercise certain rights and privileges in medieval England. 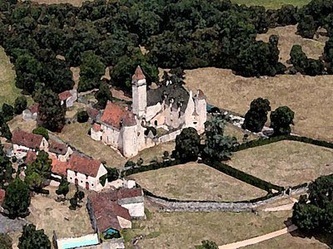 A typical manor would include a Manor House which was built apart from the village where the peasants lived. 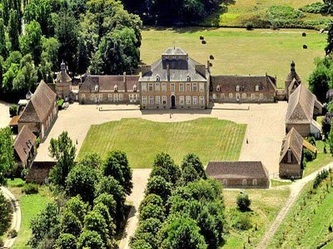 Look for the word manor to the right of the picture. Manor Village Homes: Remember that living on a manor is different than living in a manor house. If you were a peasant you lived in the manor village. 5. In your journal, tell a story (yes, you can make the story up) about your home. What country is it in? What are the positives and negatives of where you live? 6. What is a coat of arms? Explain in your journal. 7. Find your coat of arms or make one for your journal and describe what each color and symbol stands for. 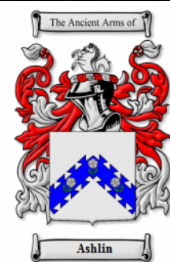 Scroll down and type in your name to see if your family name has a shield. Type your name in the search box. Click the enter button. If your name does not have a shield, try the links below. Here are some meanings for your coat of arms. 8. In your Journal tell the story of you (your character role), but be sure to reflect on the causes of the Middle Ages and how you got where you are. A. How did you come to live where you live? B. Why you are in the social class you are in? C. What are your feelings about life? D. Tell about your family, relatives, and connections to the people around you. E. What is your job/occupation? F. Add any other information that will help your readers understand your point of view and help you create the life of your feudal character over the next 10 weeks. The link below may help you. Watch this 3:00 video. Is this your life?